I got my first bike when I was 7 years old. Despite growing up in the sprawl of South Florida, biking and walking were integral to my childhood; I was always able to walk or bike to school and to meet friends. Later, biking to and from college and jobs, I realized just how lucky I had been growing up with the ability to use my bike so fully. I began to see the complexities of getting around without a car and see the influence that the built environment could have on my willingness to ride instead of drive. After college I moved to New York City, bought my first “nice” bike, and began commuting in the big city. At the time the streets of New York were not nearly as bike-friendly as they are today. While this provided plenty of excitement, I started imagining ways those streets could feel less life-threatening and more encouraging to not only current and future cyclists, but to anyone seeking an alternative to getting around without a car. When I moved to Los Angeles to study landscape architecture, my “nice” bike was one of the first things I unpacked and promptly used to explore my new home. Over the past 4 years, I have seen the biking movement in Southern California continue to grow yet know there is still so much more to be done. Luckily, there is no better place to do it than at Alta. James has built on experience in advertising and graphic design to bring an understanding of effective visual communication to project design and presentation. Combining this experience with sensibilities and training in urban and landscape design, James brings a wide range of design solutions to any project. He has contributed expert graphics and design production services to everything from trail improvement projects to complete streets concepts. His recent projects have included design and drafting of construction documents, designing wayfinding systems, planting designs and plans for trails and trailheads, and on-street bicycle and pedestrian facilities. 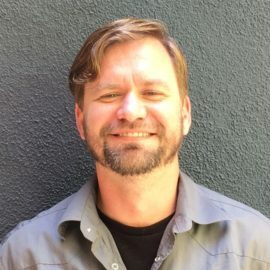 James has extensive experience with design software including AutoCAD, ArcGIS, Adobe Creative Suite, and a range of 3D design and visualization techniques.